Welcome to the homepage of Passion Audio Player. 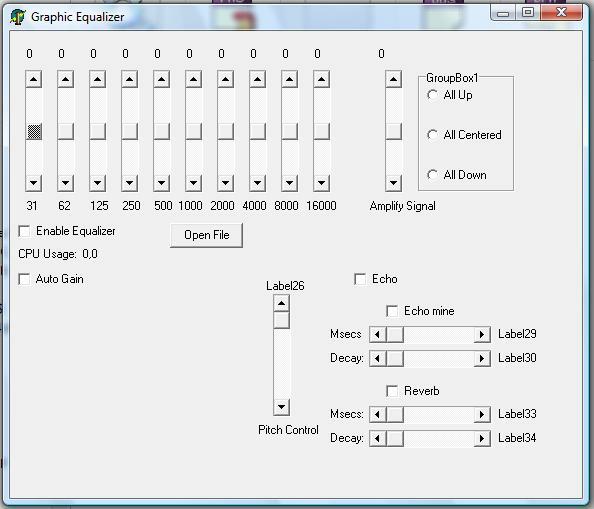 This is meant to be an example on how to implement a graphic equalizer to an audio player via a DSP callback function. The code is using bass.dll from http://www.un4seen.com. This source code has been developed with Turbo Delphi 2006 and it's a remake of an old project I had made in the past for bass 1.6.